It is well written in history that a man who gave his heart the whole bearing of his charactor and soul has left us. What is kind of strange is that when Michael was alive I never was into his music. O I would listen to him on the radio but never bought any of his records even though I grew up with him. But on that day on the first broadcast when I heard he was found not breathing I knew he was gone. As time went on and all the media went crazy it was about a day later when I relized I loved Michaels music– Cried and felt sorrow. Once and a while I tear up because I miss him. when ever I get into my car it’s first Michaels music that I play now on my mp3– So strange that I did not do that when he was alive. The lord showed me through michaels delema of accusations is to have more trust in Christ and not man. Those people who might of framed him because of money– They will have there day. 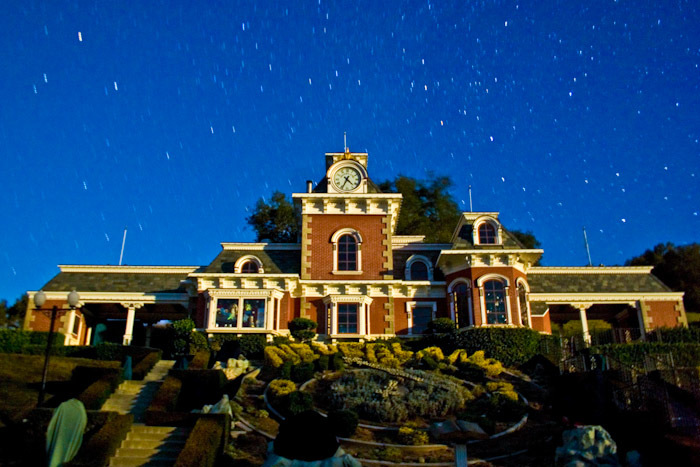 The one thing I only would only hope for is that the people who are in charge of michaels ranch house would be to lay him down at his neverland house. Michael did not have a house after he left his house. Sure he lived around other places but did not have a house. Neverland was his house. You don’t take away a dream of a life time. Michael slowly went into depression and we did not see it. I know because it happened to friend of mine. He to lost his dream house went into a depression also on pain pills and died in his sleep 1994. They just did not care enough to watch michael and know his pain inside him. Well all I can do is just hope for the best. p.s. please listen to his music and know he was one of a kind–unbelievable.